Price per box of 12 - The Pilot Pop'lol has an appealing gel ink that provides a strong pigment colour. 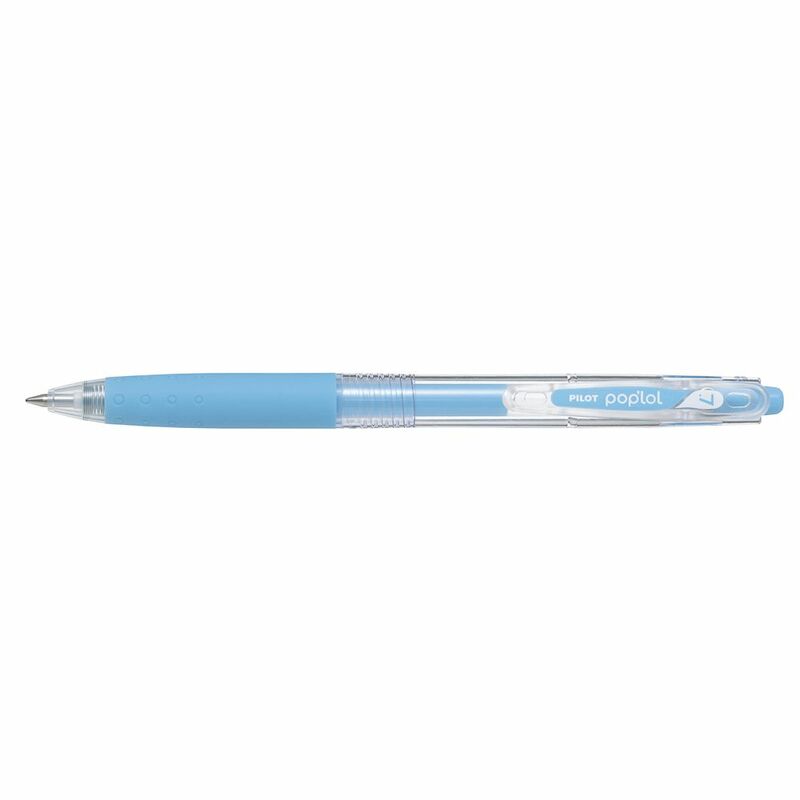 The clip and lanyard hole features allows this pen to be clipped onto notebooks and lanyards. Colour Ink: PASTEL BLUE Ink matches barrel colour.